I'm planning a 3 player 360 degree wheel cabinet for super sprint, super off road, etc. The easy way would be to get 3 spinners with wheel tops from GGG or ultimarc, and I might end up going that route. I've read opti-pac can take active high and active low inputs, so most encoders should work, right? My main problem is mechanical though - how would I connect the wheel to the shaft and the shaft to the encoder so it's properly secured and centered? 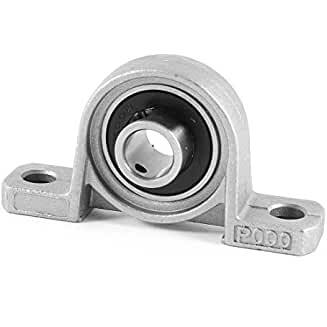 I imagine a steering shaft/rod of ~10 cm with a flange bearing (or two, for stability). But what's a good and affordable way to connect the wheel to the shaft? I've seen simple car steering wheel shafts with 3 bolt holes that might fit, but they were far too long and expensive at around $100. Found some adapters as well, but it's all for real cars and way more solid (and expensive) than I need. And then there is the optical encoder. How do I fix it to the steering shaft/rod so it rotates but stays perfectly centered? Price is right as well, at $9, but shipping is €55. I'll have a look at something similar in Europe. Still not sure how to mount the encoder though..
Nifty project. I though about doing this awhile back. I would like to help out, but I am knee deep in work for other people right now. Thanks Mike. Good luck with your projects! I've got too many as well.. I just realised the flat part of the encoder can simply be used with a set screw, and then the centering would take care of itself as long as I use the correct dimensions. These encoders are suitable for the job, right? No need to use a hall effect sensor with gears or anything else? Still not sure how to mount the encoder though. If you have access to a 3d printer, there is this mount on Thingiverse or I can modify/customize either that encoder mount or the one below in OpenSCAD for you. Maybe use some 2020 (or similar) aluminum extrusion rails/brackets/T-slot nuts for the frame. These encoders are suitable for the job, right? Yes. They should work with any optical (mouse) encoder like the OptiPAC or an Arduino using StefanBurger's firmware located at the Thingiverse link in this thread along with the details on how to wire the Arduino. A 360 degree wheel is just a wheel on a heavy duty spinner. I built a removable one with about $20 in parts from tractor supply. Get yourself two axel bearings an a shaft and you are halfway there already. After that it's just mounting the parts and attaching the encoder wheel to the shaft. PL1: That 3D model looks like it will do the trick! I’ll measure the encoder when it arrives. Howard: I knew I’d need a shaft and bearings, it’s the second half I’m less certain about. Anyone: I might just use a 12MM bolt as shaft. I’ll figure out the wheel end and the bearings. Then i only need to figure out a good way to couple the encoder with the shaft.. I might just use a 12MM bolt as shaft. The threads mght be more trouble than they are worth -- might be easier to cut off the threaded part. 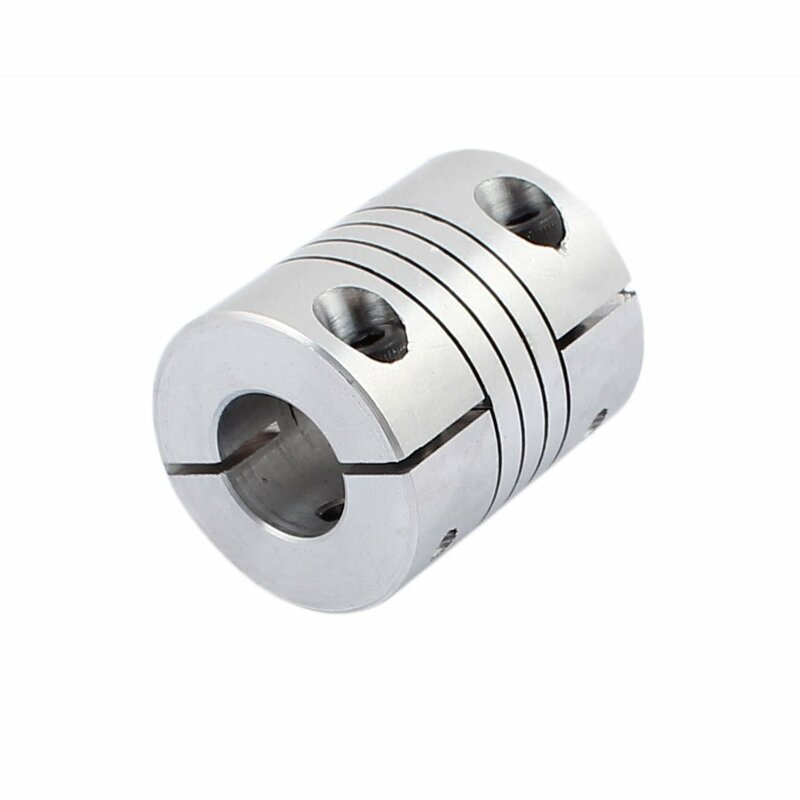 There are shaft couplers that change from one size to another like this 6mm to 12mm version. You may want to consider using pillow bearings. Some have the bearing mounted in a self-aligning ball pivot. 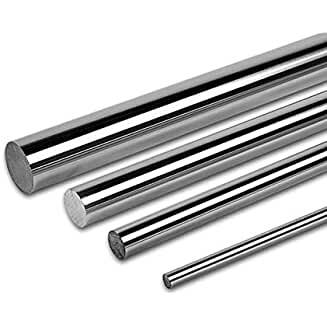 If the bolt isn't within tight enough tolerances to fit in the pillow bearings, there are a number of 8 - 12mm linear motion shafts commonly used in 3d printers/CNC machines/robotics that would work well for your project. There are also flange shaft couplers that might be useful. I’ve ordered encoders, 6-12 mm shaft couplers (Thanks PL1! ), Arduino Pro Micros (Thanks Bariton! ), flange bearings, and I’ll buy a 12mm steel shaft and cut to length soon. The new wheel takes a 23mm shaft though, so I need to reduce that to 12mm. I found 12,5 to 22,23mm rubber bushings, perhaps they’ll do the job. I suppose I’ll drill a hole and put a screw through both shafts. 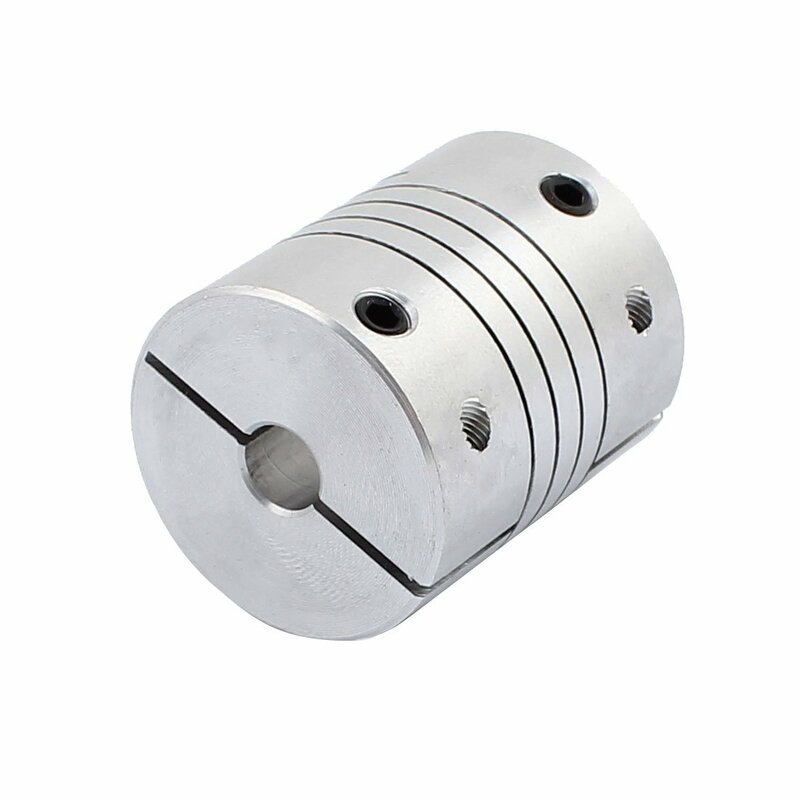 I could use such a flange shaft coupler as well - behind some wood to protect the shaft from being pulled out. 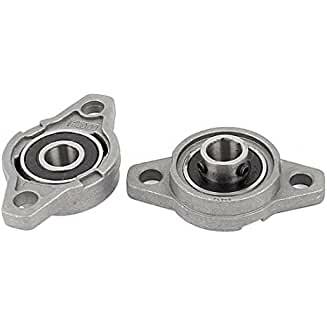 If the rubber bushings don't work, LMK if you want a 3d printable bushing model in OpenSCAD with easily adjustable variables for a perfect fit. +1 on drilling all the way through both shafts. Bonus points if you tap the metal center shaft so you can tighten two screws (one from each side) in the metal threads. - There's less strain on the plastic if it isn't threaded to retain a screw. 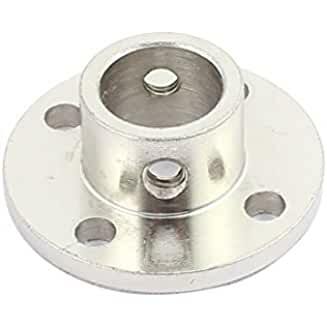 I found some 12-22mm steel spacers, they might be just perfect. Ordered some 15cm steel rods as well, so just the encoder mount left. I might have a go at making my own mount, now that the centering will be properly taken care of by the 6-12mm shaft coupler. Edit: The shaft will be a bit longer than the drawing by the way..
How is that encoder working for you? I use a regular old chopper wheel and optic sensor for mine but it's fidgety when it comes to keeping everything aligned... might be worth it for me to switch over to what you are using. This type of encoder works great. It should be a worthwhile upgrade to your setup. LMK if you'd like a customized, 3d printed mounting bracket. I didn't receive the arduinos yet, and although I have an ultimarc ultimate IO, I haven't testet the encoders yet. Someome has printed the encoder mounts for me, I'm picking them up on saturday. Will be away for work for a while now..